Where is she in this photo of her 8th grade graduating class? If you were the (male) photographer and you spotted the prettiest girl in the group, where would you place her for the photo? Bobby socks and penny loafers. Jackie was 12 years old. 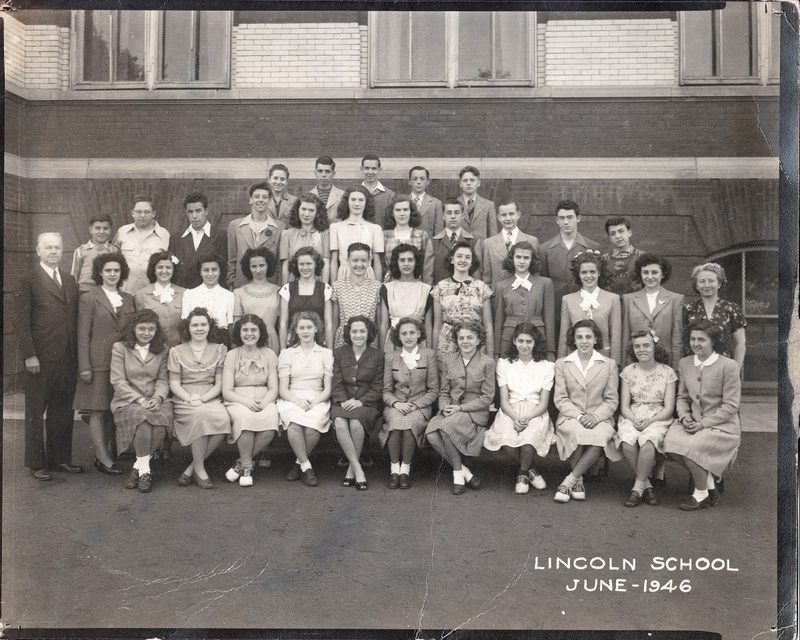 Lincoln Elementary School, located on Richelieu Terrace in Newark, was about 6 blocks from her home on Silver Street.